I am probably the last person to suspect of finding pleasure in photographing people. And yet I decided to pick up the recently released by Digital Photography School e-book by Anna Gay. I am not entirely sure, if for a minute I thought I might actually start a 365 day project on Flickr or just wanted to see what it all is about. I rembered when couple of years ago Natalie Dybisz, aka Miss Aniela made it from Flikr onto the cover of American Photo magazine (May/June 2009, find in local library, as I couldn’t find a magazine page online). I also heard an interview with her in one of my favorite podcasts, “The Candid Frame”. And did I mentioned that she wrote a book on self-portraits? The self-portraiture was not invented on Flickr, of course, but if you would like like to join the growing group of people doing that nowadays, you might need some primer. The e-book by Anna Gay, “The art of self-portraiture” is written to be useful to people having wide range of experience (or lack thereof) with use of camera and photography in general. The book is as much for photographers wanting to explore new genre and amateurs picking up the camera for the first time and looking for a subject. And if you want to learn to photograph people, who will be the most patient model then you yourself, getting you through the first time lighting the scene and creating the mood and feeling you want? This argument seems very convincing to me. It also gives you a chance to express yourself in the most intimate way. The e-book contains seven chapters, and although I might argue their order, there are information included on gear and separate, more in depth on lighting (anything from flash to desk lamp). There are basics on aperture and shutter speed (but with no mention of ISO, though available on higher point-and-shoot models and dSLRs). There is something about composition, with biggest stress on Rules of Third (and you hardly need anything more when you master it), and chapters on post-processing (and what are the free options) with some ideas on Photoshop actions and Lightroom presets resources. Several creative exercises help you to explore ideas and make you more comfortable in fron of the camera. The last two chapters contain creative ideas on creating your self-portrait (and there are many tips earlier in the text, if you pay attention) and showcase of several other photographers (with links to their Flickr galleries). And the 50 pages of the e-book is, of course, filled with pages of Anna’s own images! The one think I particularly enjoyed about the e-book is how beautifully it was published. Those who do follow this blog know that I am an e- book junkie and read through a lot of those. Mainly from “Craft & Vision”. But although they are all very professional, this one has a different feeling to it. Anna Gay, the author, is also working with textures, and I think this gives the e-book not only professional but also elegant and very womenly feeling, delicate and moody. 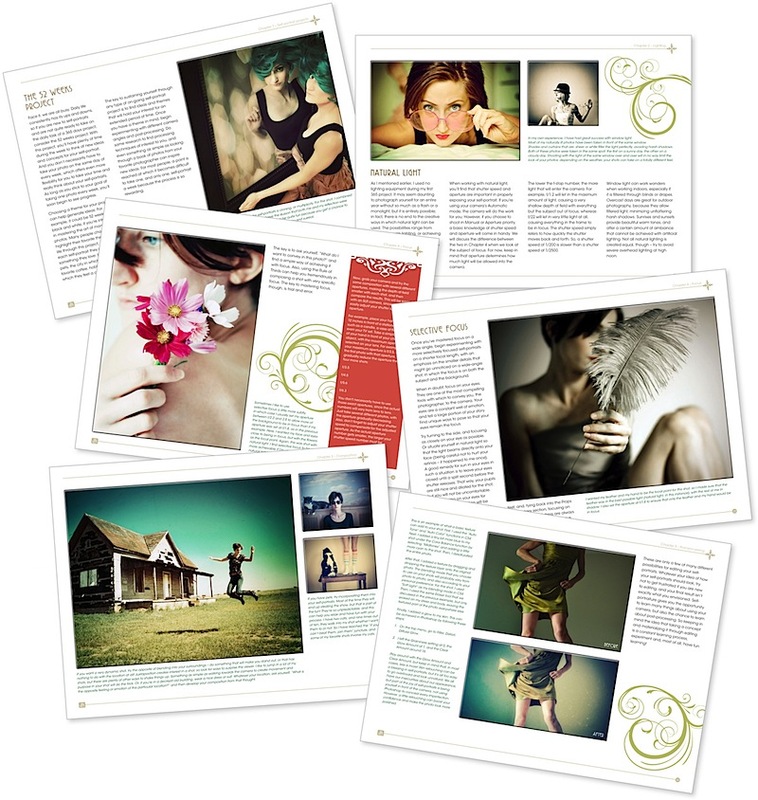 If you think you might be interested in learning more about basics of photographing yourself or need to get some creative ideas on your ongoing project, pick up a copy at Digital Photography School. It is available for an instant download for $14.99 until May 31, 2011. If you purchase it at this time frame, ou can also win an iPad 2. And the e-book views great on an iPad (in iBooks) and makes for a very comfortable reading. The links in this post are affiliate links. I was also provided a free review copy of the e-book. See details of our affiliate policy here. 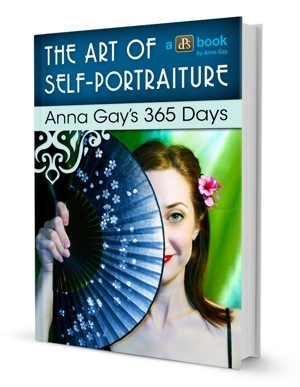 One Response to "“The art of self-portraiture” by Anna Gay’s – e-book review"